I've received verbal commentary on several of my posts and it's always nice to get. But none have caused the reaction of The Point System. Literally people will walk by me in the office and say "I'm a 9 today!". Some people feel the need to come tell me why they'll only ever be a 7 or that they don't think they could ever be comfortable with a 10. I've received emails from some of you telling me your score or asking me how many points I would give a certain piece of clothing. People comment that they are blown away by how much thought I put into it. And the funniest was in hip hop rehearsal when we were trying on outfits. I came out in a hot pink sequin top, black sequin shorts, fishnets, boots, a flowy scarf around my neck, and lace gloves. One of the gals said "That's got to be a 35!" How many points do I give a dress? Dresses are always a struggle for me. I've changed my rules on them a few times. So I'll just give you a few examples and how I've counted them and my thought process. 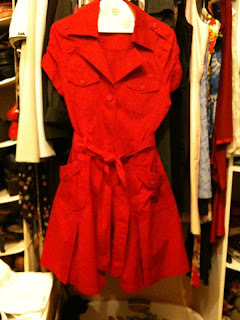 Hot pink shirt dress: I've referenced this one before, it's the super hero dress. Because it is a solid I would say 2 points is a good start, and I have a black dress that is similar and I might only give it 2 points. But since this one is blinding fuscia, I usually add a point. So 3. I wear the fabric belt that matches it, so I don't give it a point. But, contrasting belts get 1 point. So, if I added a black studded belt or a grey snakeskin belt, then I'd add another point, for a total of 4. (I think I just came up with a new spin on the super hero costume)! What kind of dress would I give a 2 then? This one. 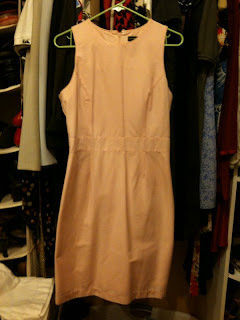 It's a solid, but in pale pink, a color that is more muted. And this isn't a point system rule, but in taking these pictures of the example dresses on the hanger I have to make another rule. ALWAYS try clothes on. 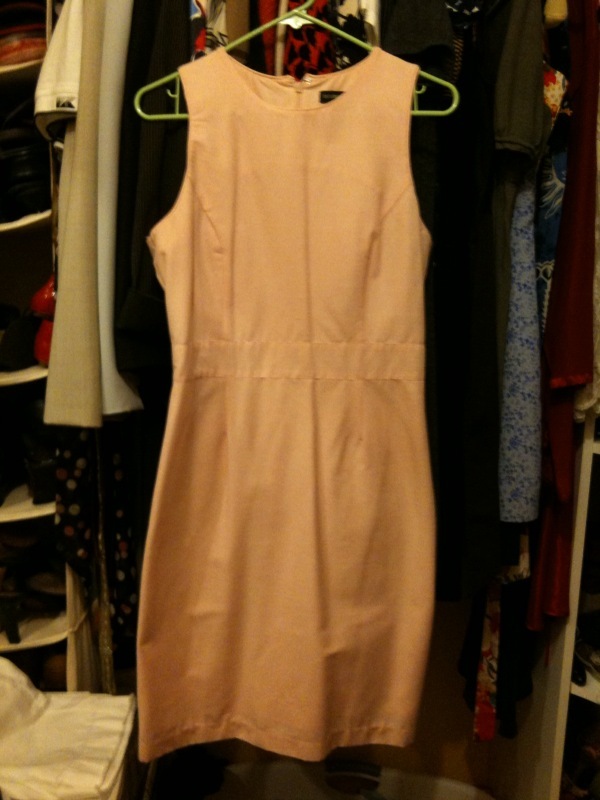 This dress looks heinous hanging there, yet when I wear it it makes me feel like Jackie O. That's what it looks like on. I swear! 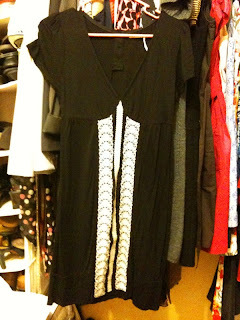 Black fitted v-neck shift dress with lace panel: This dress would get 3 as well. 2 for the dress and 1 for the lace panel. However, I'm making another new rule here, if I wear this dress with a push up bra then cleavage gets another point. Yes, I give cleavage a point. So this would likely be a 4 on a night out on the town. This dress is more formal. It is a solid, so start with 2. But it's satin. So shiny fabrics, even when solid, get an extra point. This one would also show considerable cleavage, so I'm now up to 4. I threw this one in because I look hot in it. Great examples! That helps a lot! p.s. 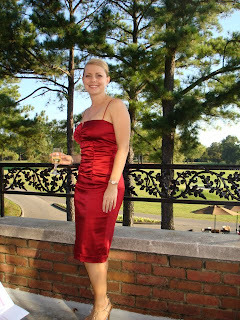 My sister has that same red satin dress. I borrowed it to wear on our cruise a few years ago and I have to say....I felt hot in it as well!